During the Budget presentation in February, then Finance Minister Arun Jaitley had projected the fiscal deficit target at 3.3 per cent of GDP for the financial year 2018-19. 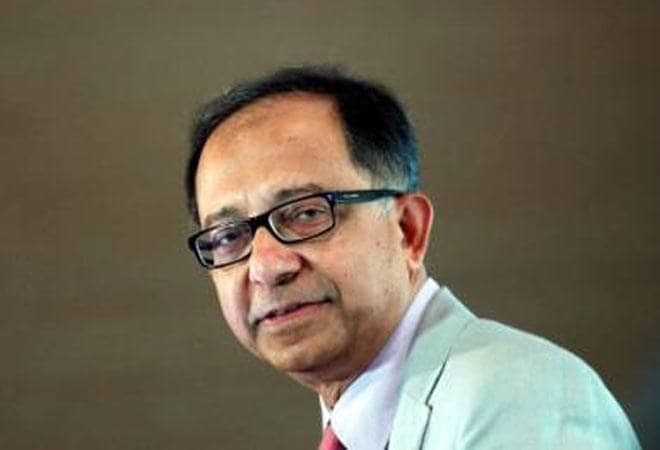 Renowned economist Kaushik Basu on Monday said that India would miss the fiscal deficit target set in the budget as the country is heading for the next general election and the governments in such times do things keeping only immediate benefits in mind.In an Interview to Business Standard, Basu said: "The fiscal deficit, in all likelihood, will be bigger than what was anticipated in the Budget." "Election time is very risky because the government's attention span becomes short-term so they do things that look good for few months, while at the same time piling up the problems for the future," Basu added. During the Budget presentation in February, then Finance Minister Arun Jaitley had projected the fiscal deficit target at 3.3 per cent of GDP for the financial year 2018-19. However, some reports had earlier claimed that the country's fiscal deficit was expected to be 3.5 per cent of GDP. BMI Research, a unit of Fitch Group, in a report said that India's fiscal deficit for the FY 2018-19 would come at 3.5 per cent of GDP. However, Moody's Investors Service expects India to stick to the estimated fiscal deficit of 3.3 per cent and even cut capital expenditure to offset any slippage from the budgeted target. It had also cautioned the government that any reduction in the excise duty on petroleum and diesel products will have negative pressure on country's sovereign credit profile. The statement had come against the backdrop of rising demand of lowering down taxes on petrol and diesel as the prices of fuel were on constant rise. Basu also said that the value of rupee is still high and the fair value of the local currency is 70-71 to a US dollar. "Our exchange rate has tended to appreciate in the past couple of years as we are inflating faster than the industrialised countries. Barring the correction that has taken place in the past few months, the rupee has been appreciating. The right level for the rupee is 70-71 to the dollar," Basu said speaking at an event organised by the JSW Foundation and the Literature Live, a Tata group initiative. Basu also raised concerns over the jobs market saying the poor employment growth is a matter of concern. "Jobs data is very poor in our country. A part of it is legitimate as so much of work is very different work from what we get in the West," he said. The former chief economist of the World Bank also said that in the West, the definition of jobs is whether one is working or not, or whether one goes to work at 9'o clock and comes back at 5'o clock. "Though our methods of data collection on jobs is taken from the West, those categories don't fit in here. We are very good at collecting consumption data or price data, but not jobs data," he said.